Criminal defense — I defend people charged with a wide range of offenses, including drunk driving, drug possession and manufacturing, domestic violence, and more. I also defend juveniles who have been charged with a crime. Personal injury — An accident resulting in injuries can change your life forever. I help victims of car accidents, truck accidents and other types of accidents seek compensation when the negligence of another person results in a serious accident. Immigration — I help clients in all types of U.S. immigration matters. 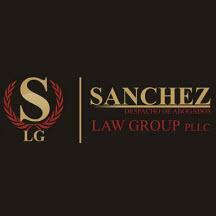 If you are seeking a visa, green card, adjustment of status, deportation defense or any other legal assistance, I can help. Se habla español. I understand how difficult these legal matters may be. You may be unsure about what steps to take when facing criminal charges or deportation, for example. You should work with an attorney who will spend the time necessary to explore all of your options and help you make wise decisions about your future. When you choose me as your attorney, you will work with me throughout the duration of your case. I will strive to make you feel comfortable, which will allow you to make objective decisions about your situation, with my help. Need Legal Help? Contact Me. Call my Yuma law office at 928-597-0939 to schedule a consultation. Free consultations are offered in criminal defense and personal injury matters. My office is open from 8:30 a.m. to 5 p.m., Monday to Friday.